Within some of those brackets, there’s various other rewards once you hit a certain number of subscribers, too. At 100 subscribers you get access to give your channel a custom URL. Be warned that once you’ve set this, you cannot change it, so choose carefully. Also at 100 subscribers you gain the ability to stream live to YouTube from the mobile app. Your account also needs to be verified, and must have no live stream restrictions in the previous 90 days. As soon as you hit 1,000 subscribers, you get to access the Super Chat feature for your live streams. This allows viewers to purchase “Super Chats” to highlight their messages within the live chat stream. Do note, though, that Super Chat isn’t available in all countries, nor on all platforms. Viewers on iOS, for example currently can’t send you a payment. So, do make sure to check the list of eligible countries and platforms if this is something you wish to utilise. Paid content also becomes an option at 1,000 subscribers. This allows you to to charge a rental or purchase fee for specific videos and also allows you to offer an annual or monthly subscription for the channel as a whole (this option is being removed). Eligibility requirements are here. Update : As of September 19th, 2017, YouTube are changing the way subscription models work (for gamers). They’re getting rid of the “all-or-nothing” model of the existing system. Now we get to have channel sponsors in line with other services such as Twitch. For $4.99/mo (or local equivalent), users can sponsor your channel. They get access to a sponsors-only live chat which is immune from slow mode. A badge will appear next to their name to show that they’re a sponsor, and they have access to custom emojis (you require 2+ subscribers to upload custom emojis). This feature also allows more third party integration with services like Streamlabs, and sponsor-only Discord servers. From the user end, sponsorship is a fairly simple affair. They go to the YouTube Gaming site (not the main YouTube site) or open the Youtube Gaming app. They go to the channel page for the creator they wish to sponsor, tap the Sponsor button, follow the prompts, and hit Buy. When you hit 5,000 subscribers you can add credit roles to your videos. This allows you to “tag” people and companies who appear within your videos. You can also tag anybody else involved with their creation, such as music, editing, etc. and show a little love to your collaborators. They appear on your video like this. There is a small caveat with the channel consultation programme. As well as 10,000 subscribers, you also need to have received over 10,000 hours of watch time in the previous year in order to qualify. At 100K subscribers, you receive the Silver Play Button. This is the first of three play buttons you get at different subscriber levels. A cool 1 million subscribers will get you the gold play button, and hitting 10 million subscribers gives you the rare diamond play button. At the time of writing this, there appears to only be 30 recipients of the diamond play button. Although, Social Blade lists 105 people with 10 million or more subscribers. Right now, my own channel is still sitting on Graphite (406 subs as of posting). It’s slowly but steadily growing, and I’m pleased with its pace. I doubt I’ll ever hit that 100K+ status, though. In fact, I’ll be surprised if I ever even get to the 10-100K bracket. But it’s nice to see what help and perks YouTube does offer to creators as they hit certain levels. I’ll update this list as I find more stuff. 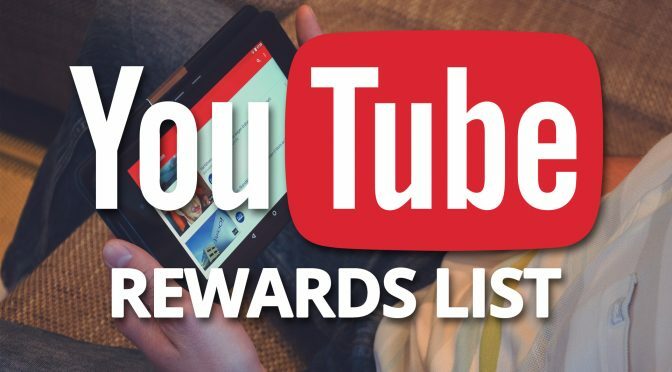 If you know of a perk that YouTube offers for members of a certain level, feel free to add it in the comments below – but please put a link to your source. There’s also the YouTube Charities Programme for nonprofits. And, no, that doesn’t mean that if you’re a hobbyist you’re nonprofit. They mean actual registered nonprofit organisations. To qualify, you’ll need to apply to Google for Charities, and approval comes with a short list of very cool perks. I’m only going to list the ones that have a minimum subscriber count, though. Regular users need 10K+ subs for this same access, so this is a great advantage for charities that need a space to create. There are several spaces around the globe. Somebody just mentioned on Facebook that once they hit 5,000 subscribers, they received an email from YouTube inviting them to check out the Creator Academy Boot Camp. There doesn’t appear to be a minimum subscriber requirement to register for the boot camp, though. The sign up even asks if you already even have a channel. So, it looks like we all might have access to that one, regardless of our subscriber count. Well worth a look to see if it interests you. Many thanks to those who have made suggestions for this list!